G A S C H T Vorarlberg’s new tourism training programme Tourism has become a very diversified and highly promising field of work. The demands placed on hospitality, management, organisation, cuisine, atmosphere and communications have seen a profound change. 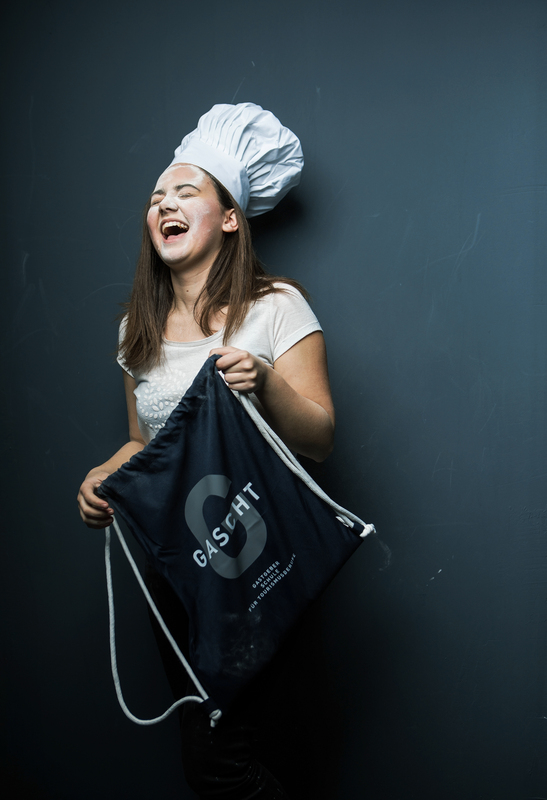 GASCHT, Vorarlberg’s new hospitality school for tourism, pursues a unique holistic approach to the tourism industry, with a dual system combining theoretical learning and practical work. As a private school with its own charter. The general appearance, as well as the materials and print finishing chosen for GASCHT convey respectability, and additional design elements permit a high degree of variability, thus emphasising the spirit of innovation, as well as lively creativity. The synthesis of typography, design elements, use of colours and the imagery represent both the dynamic aspects of the school’s vision and its forward-looking orientation.